This tube is of 16g and will have a leader at one end so as to thread through the implant needle. Standard length of these tubes are 30 cm and leader 30 cm. One end of this tube is closed. This tube is also known as Blind End Tube. This tube is the same as Single Leader, but with leaders on both ends. The length of the tube is 30 cm and both leaders measure 30 cm each. This 16g Single Leader Tube has a flat end closed and will have a flat, half moon or stainless steel button at the end. Either end will have 30 cm leader. 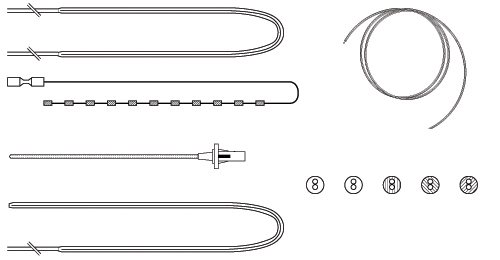 Custom lengths and diameters with Filament, Cable, or Cable Dummy Ribbon. These products are for one-time use only. All should be carefully inspected by your staff prior to clinical use and should be used by authorized personnel only. Different hole sizes are available. Each tube is closed at one end with a cable throughout and a marker at the closed end. The cable enables the tube to take the curvature when it is pushed in, without kinking. The marker is to show position of the tube in radiograph. See below for list of available lengths and diameters. Above products are for one-time use only. All should be carefully inspected by your staff prior to clinical use and should be used by authorized personnel only. This product is for one-time use only. It should be carefully inspected by your staff prior to clinical use and should be used by authorized personnel only. 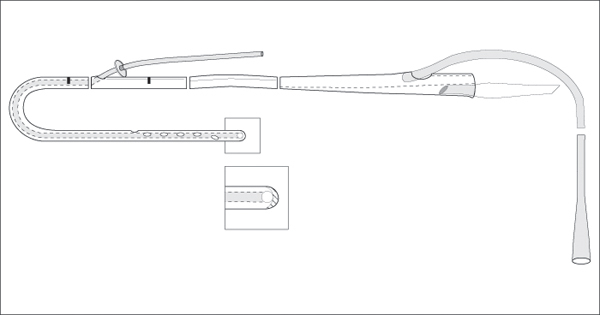 All catheters are available in custom lengths, with or without cable dummy ribbons. Please refer to the Flexi-needles section for information.